Back with another Bps review, this time it's their glitter powder and also the newest release mirror powder. I am not a huge fan of powders but since these looked really good on the website, I had to try them out and see if they are any way similar to what they look on the website. This is Gold Holo 0.2 mm glitter and it looks divine on my nails. I have to say!! SO pretty so gorgeous, I cannot stop appraising its beauty for this reason. Use it on Gel base and dust it all over your nails then cure your nails and remove the excess. And voila!! Okay moving on to the last one!! It's a Mirror chrome. Apparently, it was supposed to look like a mirror chrome too :\ But for some reason, I could not spread the powder to the entire nail as you will see below I did two coats for it to completely hide the base but it just couldn't. Maybe because I didn't use gel color base as they advised and only Gel Topcoat, but really what is the use of gel color when you are gonna apply the powder yo the gel top coat only?? So that was it for today!! 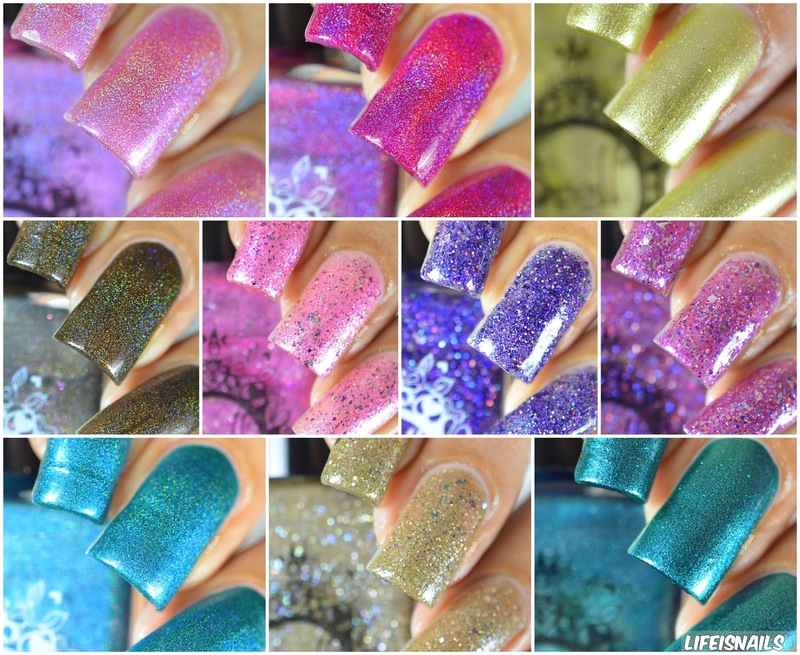 Today I am back for a quick and short review on few of the Top Coats that I got from Bornprettystore.com. Two of them are Gel Topcoats and remaining one is a regular one but with an exceptional quality which we are about to see. Okay, so the first one is Born Pretty No Smudge Topcoat. It is supposed to be used over your nail art or even just plain nails, but to try it out I used it over the most likely to get smudged nail art and that is Zig Zag lines!!!! Although it does come with a drawback, it smells like some antiseptic liquid that is used in hospitals, but if you can ignore that, it is the holy grail top coat you need for your smudgeless( If it's even a word) art. Next one is Bornpretty Uv\Led Gel No Wipe Topcoat, you heard me right, it's a no-wipe which I was looking for for quite some time now. It does fulfill its purpose, it does give you a shiny glossy finish without any sticky layer, but..but..but.. it did have a major drawback which I sure wasn't able to ignore and because of which I would not give a 10/10 and that is, it was very gooey which made it very hard to evenly apply it all over my nail, not sure if it was a defected bottle or just how it is, whatever it is, I didn't like it very much! For the nail art, i used this gorgeous black with holo snowflake foil from bornprettystore as well. The last one is my absolute favorite, it's a Bornpretty Matte no Wipe Topcoat, and oh man!! the finish it gives its just so amazing!!! I love it, does all its work and the best part is its formula was so good to apply. So that's it for today guys! !